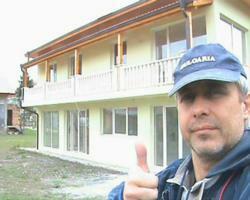 Zhivko Zhelev uses FreeLotto.com prize winnings to remodel his home. FreeLotto is proud that this winner plans to help others with his good fortune. Bulgarian native Zhivko Zhelev joined FreeLotto.com on July 23, 2009. The website is the largest online lotto style sweepstakes, with over $11,000,000.00 in daily prizes available to be won. Zhelev is just one of FreeLotto’s many international winners, including Raja Khan from Lahore, Pakistan; Alejandro Llano from Mexico City, Mexico; William Herriott from Glasgow, Scotland; and Eric Prevost from Calvados, France. While Zhelev had joined the site in July 2009, he began playing regularly, placing free “bets” on all six daily FreeLotto games, in October 2010. Games include the $1 Million Cash Classic, Win a Car, Pay Off Your Mortgage, $10,000 FastCash, $100,000 GiveAway and SuperBucks, the $10 million jackpot game. On November 23, 2010, Zhelev matched all six numbers in the FreeLotto Pay Off Your Mortgage drawing, winning $100,000 to be paid out in 5 yearly installments of $20,000 each. Zhelev used his first prize check to remodel his home in Bulgaria. He performed much of the labor himself, installing balusters to the front of his house. Zhelev received his 2nd prize check on the 5th of this month. The average annual salary in Bulgaria is $5,500, so this win can have a dramatic impact on Zhelev’s life and his ability to give back to his community. He told the prize team at FreeLotto that he plans to use this installment to support his son’s education at Veliko Turnovo University and to “buy clothes and food for street children in Bulgaria.” Orphaned, homeless and often exploited, “street children” are in need of great support. A representative of FreeLotto said that “FreeLotto is proud that this winner plans to help others with his good fortune.” Zhelev says the money will also provide him the freedom to pursue his personal dream of becoming a published author of books and poetry. Zhelev continues to be a loyal FreeLotto player and hopes to win more jackpots in the future. Freelotto.com is the largest online lottery-style sweepstakes website. Since 1999, FreeLotto® has awarded over $95 million in cash and prizes. FreeLotto.com is an advertising supported website that offers players the chance to win cash everyday with the following games: FreeLotto® $1 Million Cash Classic, $10K Fast Cash, $100K Pay Off Your Mortgage, $50K Win A Car, $100K Giveaway and $10 Million FreeLotto® Superbucks. To participate in FreeLotto®, players log onto http://www.FreeLotto.com, select their numbers on a gameboard and then click an advertising banner or answer a question to submit their bet for free. To learn more, visit FreeLotto.com.